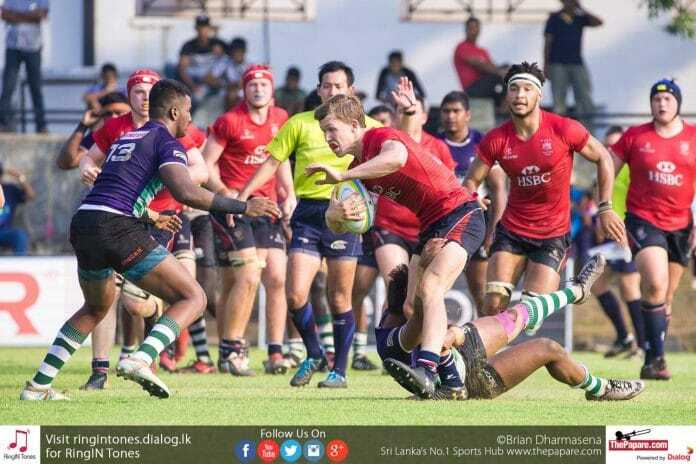 After an impressive 1st half, Sri Lanka failed to continue their momentum as hosts Hong Kong demolished the Junior Tuskers 40-7 thus qualifying for the Junior World Rugby Tournament. The second leg of the Asia Under 19 Championship kicked off this evening with defending champions Hong Kong hosting the Junior Tuskers at the Hong Kong Football Club grounds. 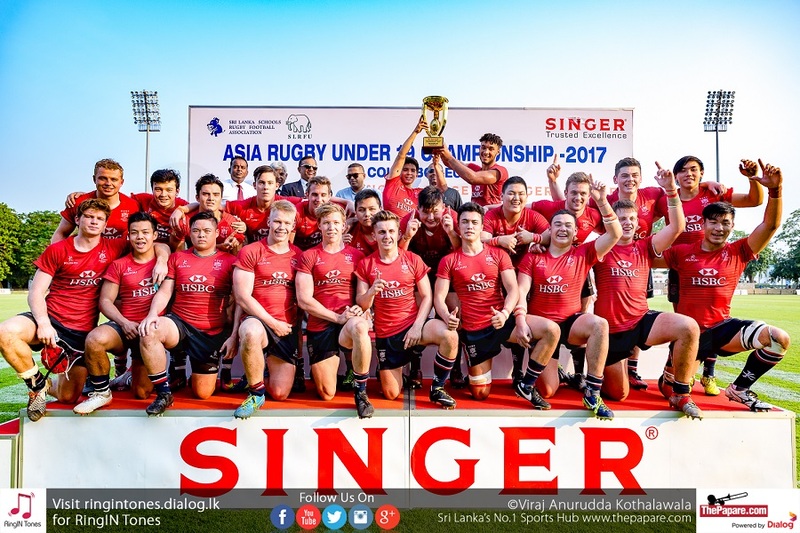 Hong Kong had already won the Colombo leg 37-8. Sri Lanka’s change in the halves combination seemed to work as the new pair Hashan Madumadawa and Randy Silva were in control and opted to play a fast-moving game. However, when the co-captain of Hong Kong Max Denmark is given ball and space to run, he was unstoppable. Running on the far right, the big #8 warded off three players to score the second converted try. When hope was diminishing for the Tuskers, fullback Chamod Fernando scored during the 25th minute keeping the Islanders’ hopes alive. With Fernando adding the extras himself, Sri Lanka went into halftime with confidence. While the 1st half was a head to head contest, the second half was a bummer with the Hong Kong running riot on the Tuskers. A well-executed set piece off a 5m scrum from Mark Coebergh to Paul Altier saw the hosts scoring near the posts. The hope of any comeback by the Junior Tuskers were shattered as Hong Kong scored two tries in quick succession off Jay Cooke and Callum Tam. One out of the two tries were converted by Altier (33-7). The Lankan juniors worked hard to create opportunities but could not get their execution right. Sri Lanka had the best possible chance of scoring in the beginning of the second half but the centres knocked on the ball, unfortunately. The Junior Tuskers looked at getting a consolation try in the final few minutes but some brilliant defending by Ramage, prevented this from happening. 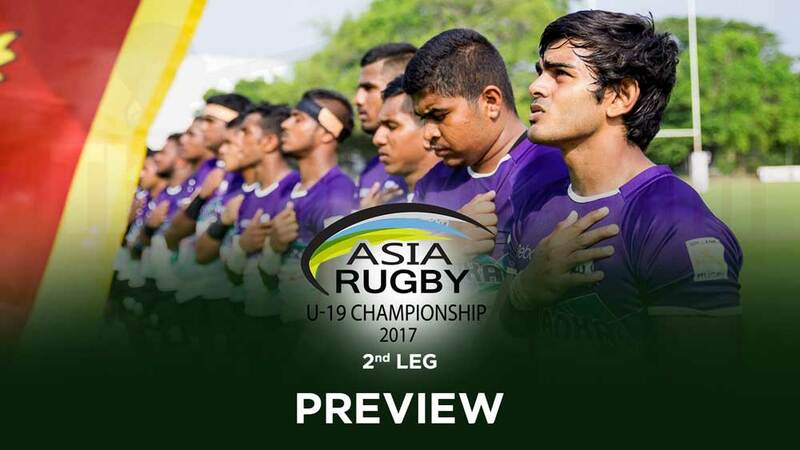 Sri Lanka will thus conclude their Under 19 run for the year with two losses to Hong Kong and the national body here should be looking to improve on performance next time around. Hong Kong qualifies for the Junior World Rugby Tournament that will kick off in Uruguay next year.